A winter storm is expected to hit Greater Boston Tuesday afternoon, potentially causing major delays during the evening commute, forecasters said. Precipitation is expected to begin around noon Tuesday, with snow eventually turning into sleet and then freezing rain, according to the National Weather Service. 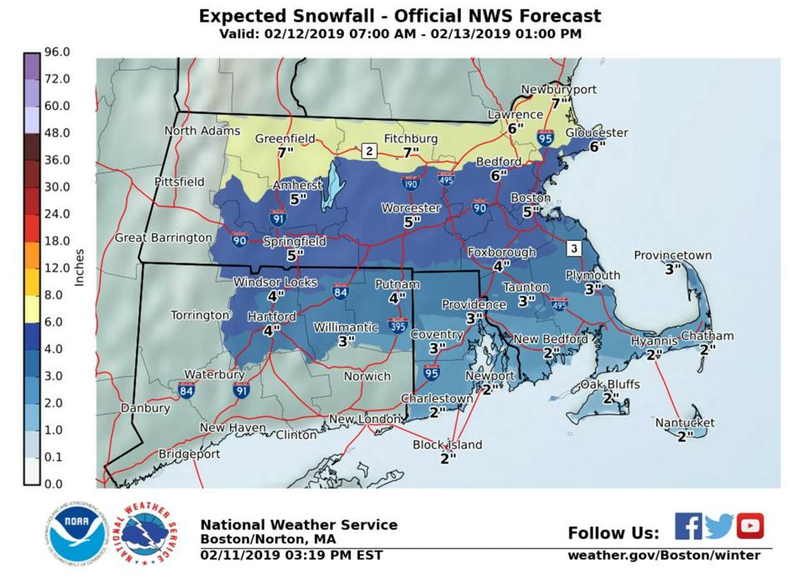 Forecasters issued a winter storm watch from Tuesday afternoon until late Tuesday night for a large portion of Eastern Massachusetts, including Framingham, Lowell, Lawrence, Gloucester, Foxborough, Norwood, and Boston. “Expect significant, potentially high end travel impacts late Tuesday,” forecasters said. Slick roads and dangerous traveling conditions are expected. At the beginning of the storm, snow could fall at about an inch an hour, impacting visibility. While this storm isn’t likely to be a huge snow maker, its approach could really slow things down as you head home tomorrow afternoon. About 4 to 6 inches of snow is expected. The snow is expected to change to heavy sleet sometime between 4 p.m. and 10 p.m. Tuesday, with heavy snow lingering in the northeast corner of Massachusetts, according to the Massachusetts Emergency Management Agency. 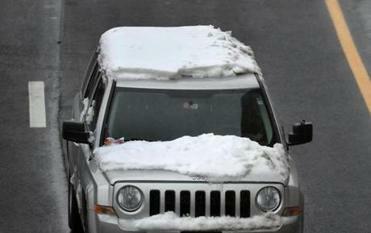 Sleet will turn to rain in most of Eastern Massachusetts either late Tuesday or early Wednesday, forecasters said. Precipitation is expected to end in most locations before the Wednesday morning commute. Peter Bailey-Wells of Globe staff contributed to this report.